Guns Bet Casino congratulates all players on the upcoming Christmas holidays and launches a unique tournament, which started on 01.12.2017. 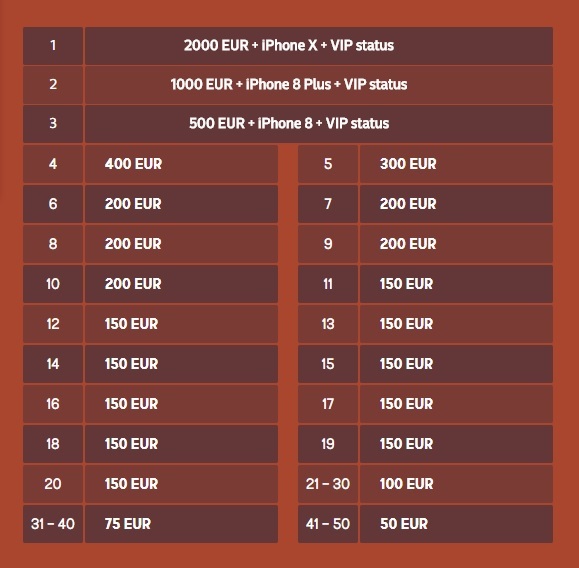 In the New Year’s tournament you will have a chance to win a share of 8,500 euros, one of three iPhone, and get a permanent VIP-status in the casino gunsbet. Rules and conditions of the tournament. The tournament is held from 01.12.2017 to 31.12.2017. Each bet, made for real money, brings the player one game ball in the standings, the calculation is based on a bet of 1 euro, equal to one point in the final table. The winner is the one who will score more points. Received prizes have wager requirments X3. Standard rules and conditions apply.